Who said smart watches were a fad? The intelligent wristwear market, while not exactly new, is iron-hot, as evidenced by everyone and their mother's intentions to enter it. The real winners now are those companies able to introduce stop-gap products that fill the void between, say, Pebble and Google's rumored Android watch. 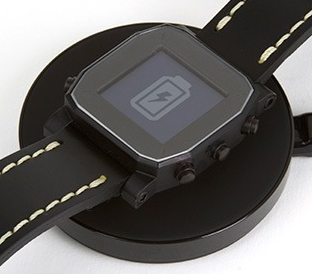 The insatiable demand for these halfway smartwatches is perhaps epitomized by the early success of Secret Labs's and House of Horology's Agent watch, a Kickstarter project which blew through its $100,000 goal in less than 12 hours today.